Recording and analysing incidents is an important step in the process of improving performance. Results lead to recommendations which become action plans intended to improve safety, efficiency and compliance. The Incident Recording facility within e3 provides a means of tracking LTI’s and recording incidents and near misses. Relating information from Risk Assessments, Permits and Certificates present a more complete history for analysis. Record incident or near misses that are related to permit controlled activities or as non-related incidents. Link to and take snapshots of information from other e3 modules such as Risk assessment, Permit management, isolations or any e3 integrated process. 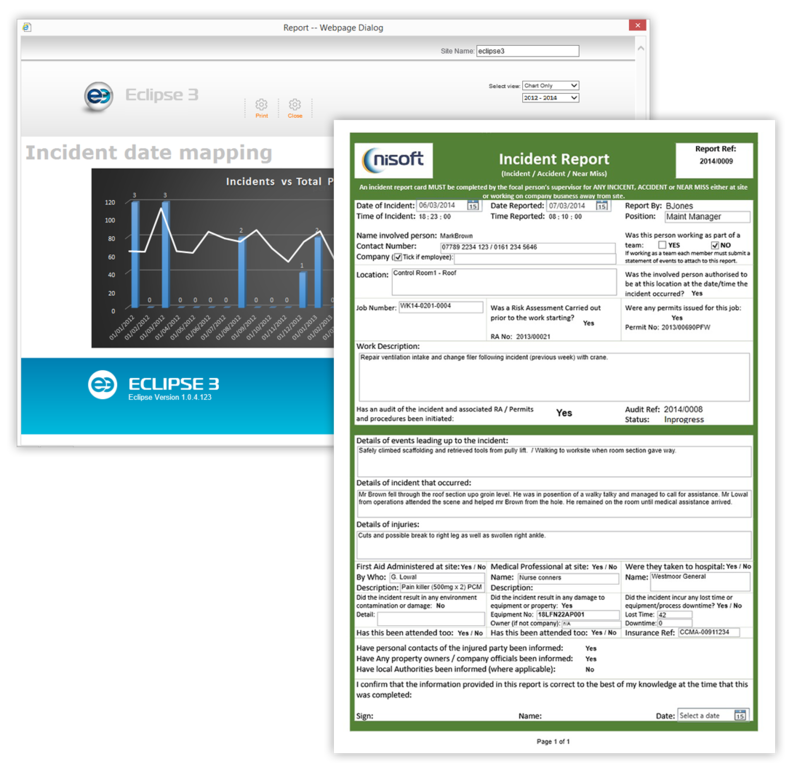 Attach incident reports, photos and any other supporting information. Assign tasks with email notifications and alerts. Track an incident from initial report through investigation to final result and any assigned follow up actions. Fully process controlled with stop gates and checks throughout the process. All done using the client’s configured forms and specific processes. Full audit trails are recorded and any information from the process can be used on reports.